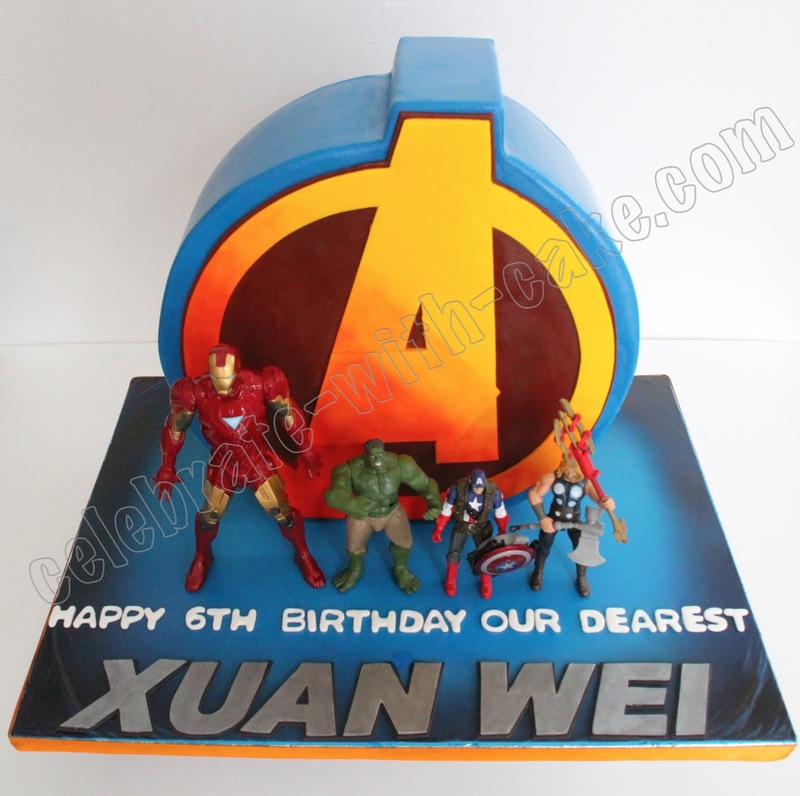 We did this Avengers Cake for a little boy who became a fan boy after catching the movie. 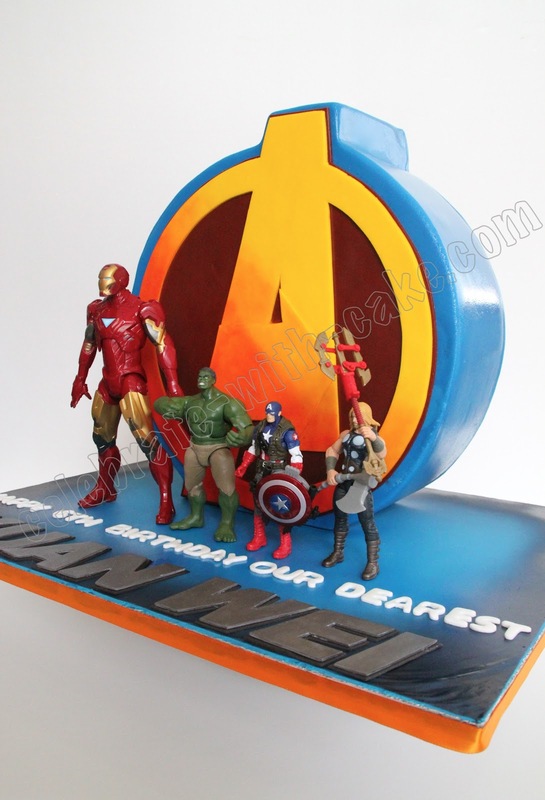 ( i love RDJ btw. 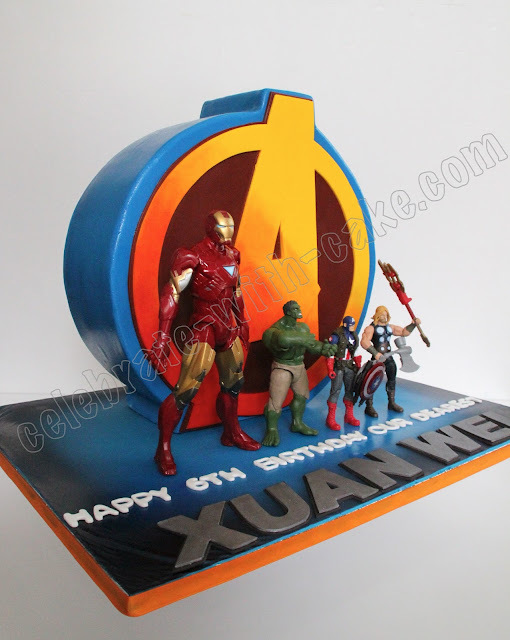 I believe he's the mortalized Ironman.) 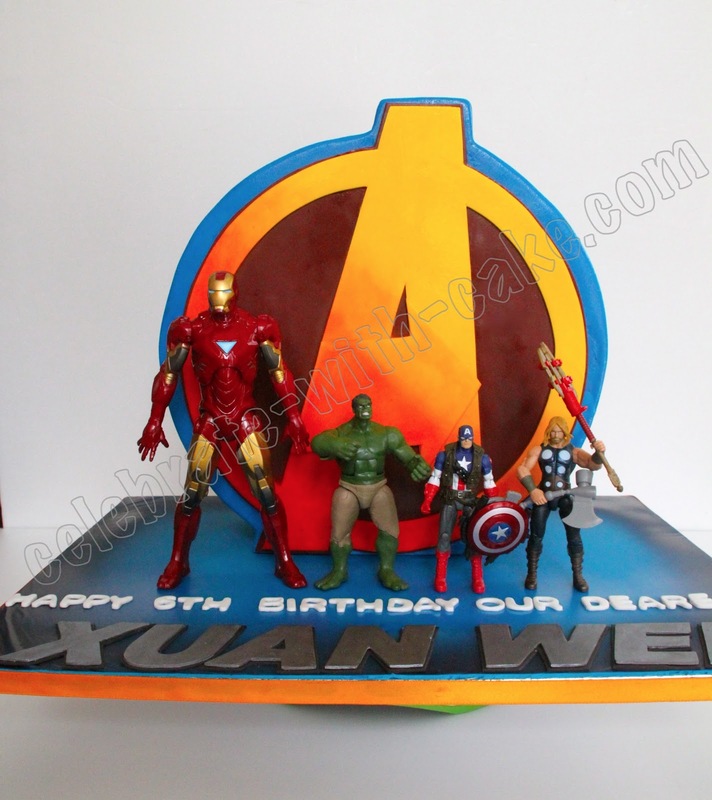 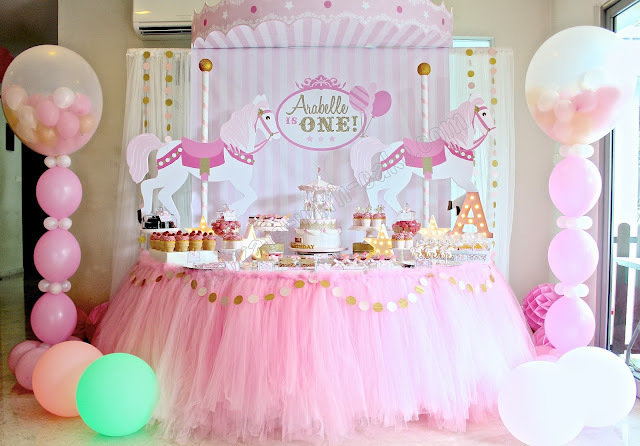 We suggested to his mom a standing Avengers logo cake with 4 Avenger super hero toys to surprise the birthday boy!